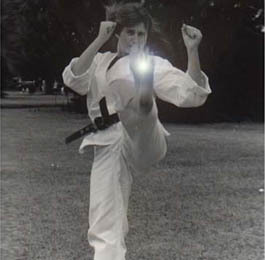 Kyoshi Donna Judge began her karate career in 1973 at the age of 17 and is the school founder and senior Instructor of Suncoast karate Dojo in Sarasota, Florida. 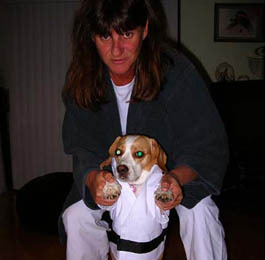 She opened her first dojo in 1976. As a direct student of Hanshi John Pachivas, 10th Dan, Shuri Ryu, Ms. Judge offers Shuri Ryu knowledge with authenticity and experience. Her instruction is a classic example of traditional training in keeping with the highest traditions of Okinawan Shuri-Ryu Karate-do. 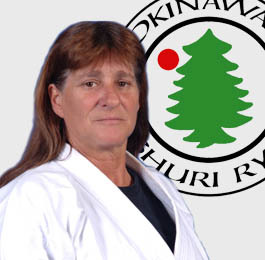 She is one of the most respected instructors in Karate today. Throughout the years, Kyoshi Judge has achieved national and international recognition in Karate tournament competitions. She has won the following 11 titles Light Contact Women's Fighting Champion 1982, 1983, 1988, and 1989 thru 1992; Team Semi Contact Fighting Champion 1987, 1988; Individual Semi-Contact Fighting Champion 1988, 1989. Additional honors include being named "Sportswomen of the Year" and " Top Female Fighter of the Year" in 1992. 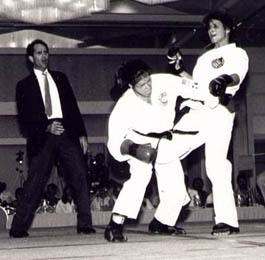 In 1987, Ms. Judge was honored by Grandmaster Robert Trias when asked to become Team Captain for the women's USKA team. This team fought in the Japan Goodwill Karate Championships, and under Kyoshi Judge's leadership, the team returned that honor by bringing home the gold medal. 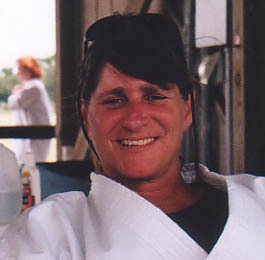 Ms. Judge has earned many other high honors over the years including being Inducted into The World Martial Arts Hall of Fame in 1995. Recipient of Living Legends Sport Karate Award on October18th 2003 in Charlotte North Carolina. Certified International instructor by the International Shuri-te Yudanshakai and being appointed by Hanshi Bowles in 2001 as the Florida State Representative of the International Shuri Ryu Association. Kyoshi Judge feels incredibly fortunate to have been instructed by Hanshi Pachivas. This relationship enabled her to travel, meet and train with those whom she considers the top instructors in the country. 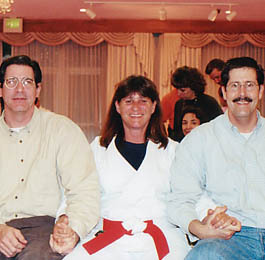 These instructors included the late Grandmaster Trias, Hanshi Robert Bowles, Kyoshi Ridgely Abele and Shihan Dale Benson. Kyoshi Judge has devoted herself wholeheartedly to training and sharing her Karate knowledge. She now has Shuri Ryu Karate being taught by her black belts at two of the high schools in Sarasota as a credited physical education class. Kyoshi Judge has worked security since 1997. 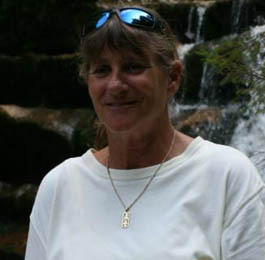 She also was head of security for a local club for five years and maintained a crew that provides security at events for the Sarasota Entertainment Center. Due to her years of experience in security, she has witnessed many fights and has utilized her self defense training often. Assistant Chief Instructor of Shuri Ryu Karatedo. 8th Degree in Shuri Ryu Karatedo. Competed in The Martial Arts World Games in 2010, 2012, 2014 and 2016 taking gold medals in Kumite and Kata. 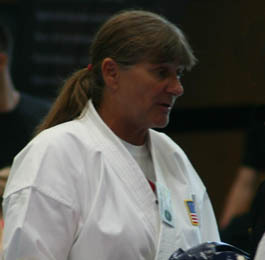 Coach of the US Martial Arts team and official training facility. 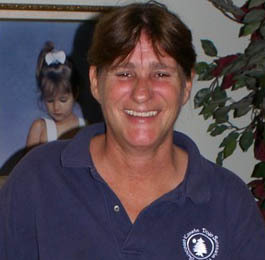 Florida State Representative of the International Shuri-Ryu Association. 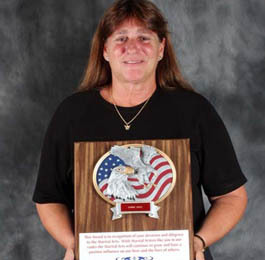 Donna Judge received the International Budo Renmei award as one of the top 50 Martial Artists alive today in 2013. Recipient of Living legend Sport Karate Award on October 8th 2003 in Charlotte North Carolina.